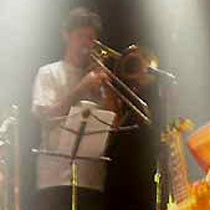 Concerts - new show announced! Formed in Syracuse NY, in 1991, Sapphire Bullets have dedicated their lives to the album Flood, released by They Might Be Giants in 1990. After years of basement rehearsals crafting their precise imitation, their debut performance in late 1995 of "Birdhouse in Your Soul" at The Empty Bottle's Karaoke Wednesday steeled their confidence. 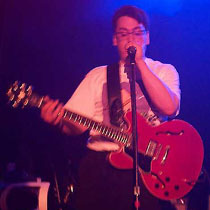 With their continued success at Open Mike nights across Syracuse, they began headlining regularly at The Empty Bottle. 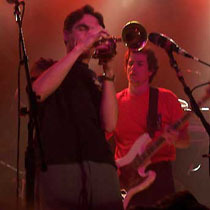 A small but devoted local fan base, who shares the band's appreciation for the work of They Might Be Giants, supported their early forays into the Syracuse club scene and encouraged the band to develop their unusual talent. Competing anually at the TMBGlobe convention, Sapphire Bullets has won the Gigantic Shadow Award for Best Impersonation in the Group category for three years running. 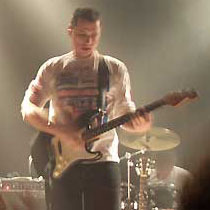 Guitarist Tyler won for Best Individual John in 1998 and again in 2000. 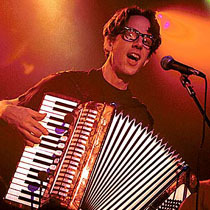 In January 2001, Sapphire Bullets received the greatest honor any They Might Be Giants cover band can hope for, when they were given a chance to open for They Might Be Giants at the Irving Plaza in New York City. Special thanks to Rachel Vecchitto and Jen Lombardo for the photos.